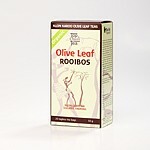 Natural Olive Leaves with the rich and soothing taste as they come from a small farm in the Klein Karoo. 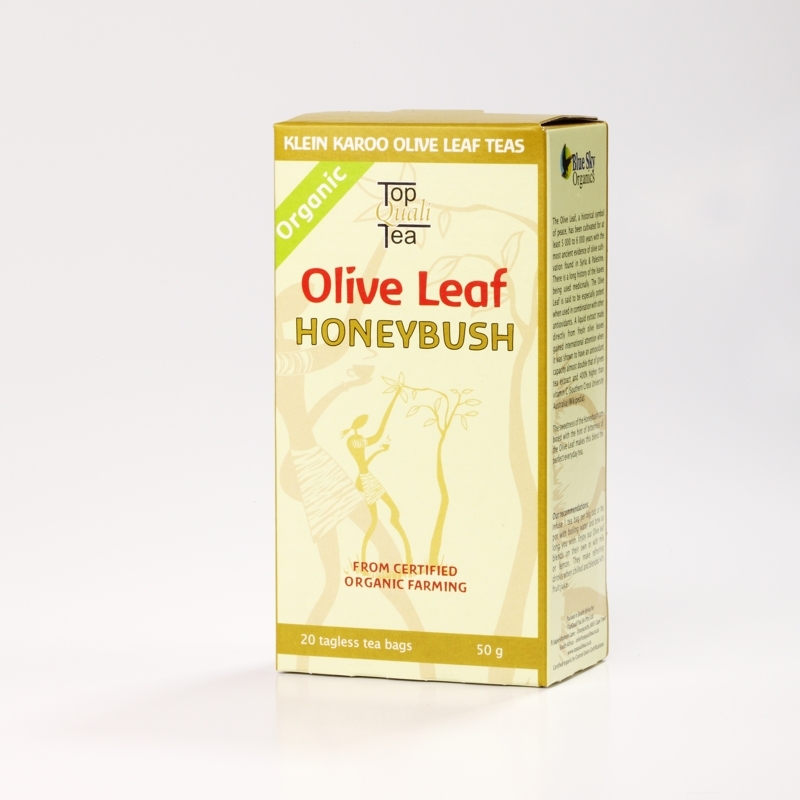 The Olive Leaf is very high in Vitamin C and is used to combat colds, flu, viruses and to increase energy. It has anti-viral and anti-bacterial properties to strengthen the immune system and enhance the body’s efforts to fight against invading organisms. 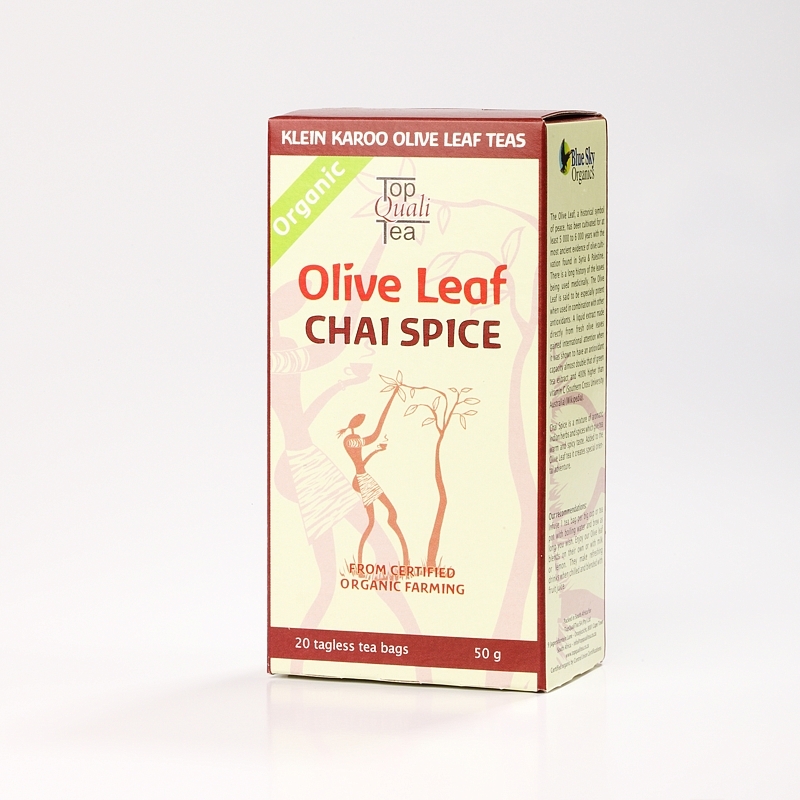 Olive leaf tea is an ideal replacement for black tea and can be added to marinades, especially for fish or used in a spice rub to season a variety of dishes. 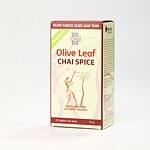 Olive leaf tea can be brewed to your own taste. Steeping the bag for a few minutes will provide a soft, delicate cup whilst leaving it a bit longer provides a stronger more powerful infusion. Rooibos is an excellent digestive aid and can be consumed after meals. 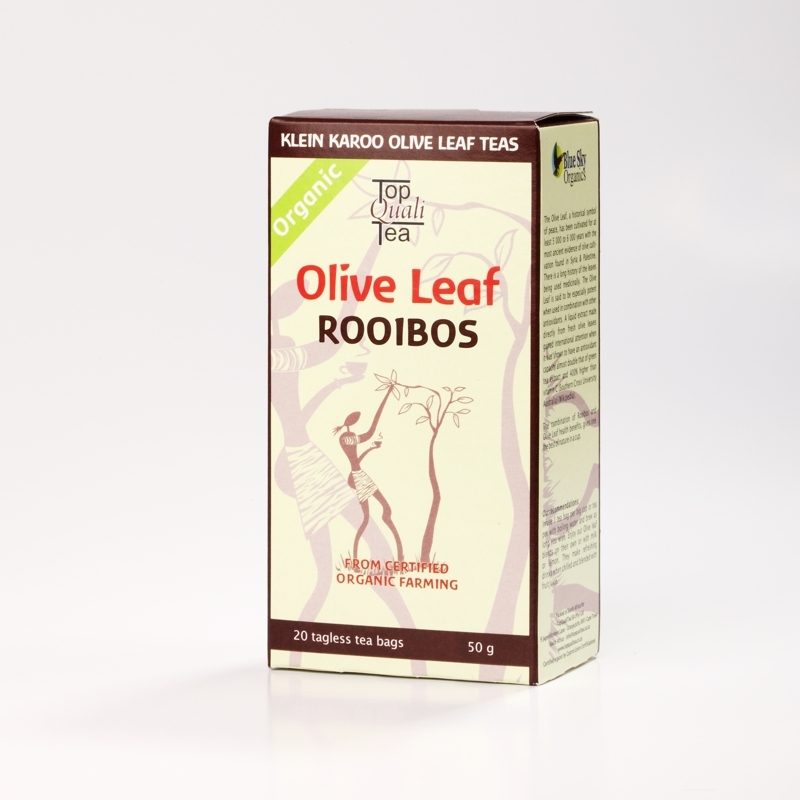 Add the health benefits of the Rooibos plant to the Olive Leaves and you will have the best of nature in a cup. 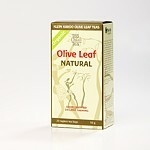 Olive Leaves are said to be especially potent when used in combination with other antioxidants. Create your own flavouring by adding a slice of fresh lemon, stevia, honey or milk. There is nothing quite satisfying as a nice hot cup of tea on a chilly winter’s night. With the hint of bitterness of the Olive Leaf with the sweetness of the Honeybush tea this blend makes the perfect cup of anytime tea. The blend gives you a great antioxidant boost for your system. 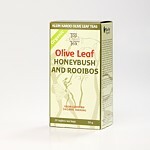 This blend is made with indigenous, endemic herbs from all over the Western Cape. 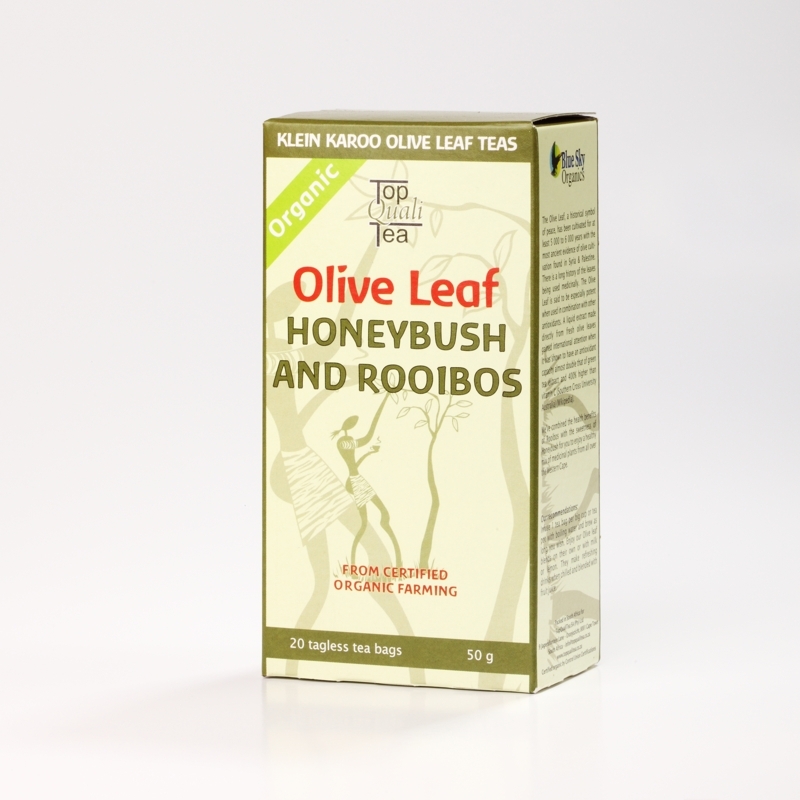 Olive Leaves blended with the health benefits of the Rooibos and the sweetness of the Honeybush make this healthy mix of plants enjoyable at all times. The Rooibos give the earthy and floral taste while the Honeybush offer the honey like and woody taste. The Olive Leaf comes with a slight pungent taste to round up the sweetness of the other two.